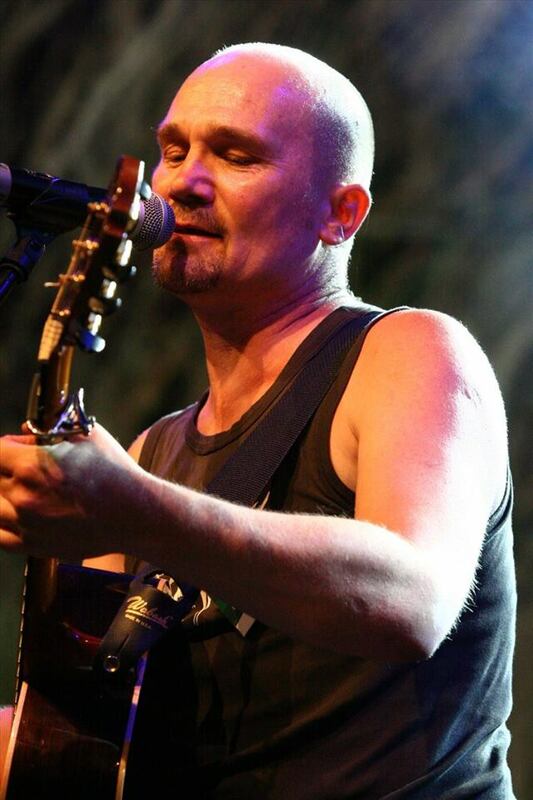 Steve Dewar is from Edinburgh, Scotland and plays music all year round all around Europe. As singer and guitar player for The Assassenachs he has seen leaps and bounds in the last decade or so. Prior to The Assassenachs Steve was no stranger to the road though and had toured with a number of punk bands including the legendary Political Asylum, also hailing from Scotland. The punk style energetic guitar playing is still present in his acoustic guitar playing even now, but he has in recent years let other influences touch his strings and voice too. Steve organizes most of the shows for The Assassenachs and helps with PR and whatever needs done in the band. He organizes his own solo performances too and such gigs enable him to veer off from folk music and delve into his own songs and some interpretations of others. He never used to enjoy going solo but now he has developed his skills and gets just as much out of it as with band, as do the audience. A good sense of humour has always been one of his and The Assassenachs´ best traits and a gig without laughter smacks of taking it all too seriously, ponders Steve. Luckily, the rest of the band agree. For more information about Steve’s solo performances, see also his website: Steve Dewar Music.